Why the concept of infinity is invented? Don’t raise your brows, the answer is quite simple and it is knowledge. The realization of the meaning of knowledge is what leads to the concept of infinity. Knowledge is infinite; it has no beginning and no end. Knowledge is god, it has no shape and form, it neither begins nor ends, it’s simple yet most complicated. Man couldn't find a word that can express this for centuries and finally they did find one, and that is infinity. Infinity is something beyond our knowledge and what we know a little about. And thus the say, Knowledge is god and god is infinity. Simple and Short but excellent in content . Good post! Well said! Its true, infinity is just another word! A post on infinity and in finite words. Enjoyed it thoroughly. For me infinity reminds me that it is a journey of learning with no end in sight but fun is in journey! gr8 thoughts ...i lyked d post! So elegant! So simple!! Scientific and Artistic!!! Congrats!!! Of course, I don’t patronize any branded god more than a figure of speech., as they have created enough trouble. 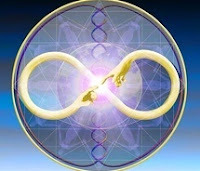 There are many ways of conceiving this infinity concept. I appreciate the four line crisp contemplation of yours. Knowledge is infinite agreed. It is just a channel that takes to God, the enlightenment. And God who is the ultimate giver of infinite wisdom.Hence obliging with your argument "God= knowledge= infinity" sounds illogical. Well try to reflect love and God, you will relate infinity!